Felnova is a Realm as beautiful as it is unique. Home to a mixing pot of species - from dragons and humans to deathcats and drow - it is a place gifted with incredible restorative abilities, able to not only sustain the species that live there, but recover from the many wars that have plagued it over its long history. It is home to five of the Greater Gods, the Felnovian Five, and was the Realm that the dragons moved to when Millirand's great wars drove the Ten to split, and home to the royal dragons who hold together the Realm's chaotic balance. It is also home to the Yorijian dragons, and the feared deathcat prides, unique to this Realm alone. Magic runs fluently within Felnova, and its reiatsu is said to be one of the purest existing in the Fiv'ean Realms today. Children born here of a species with very little magical potential can become quite powerful, and it is said that the spirit of the First Ether exists in every creature within the Realm. The Mage Tower, Godshome, is rumored to be one of the most powerful places belonging to the Order of Mages, as its defenses and magic could not be attempted in other Realms with as much success. Here is a listing of factions, native species, fauna and flora that can commonly be found in this Realm. Keep in mind, however, that these are not the only things that may be found within Felnova; different groups may travel, many species can be found abroad, and flora/fauna can be transferred with ease. Location: Northern reaches of Alubria, in the foothills of the mountains where the desert sands meet hard rock. Buried in a network of tunnels and caves. Location: Talon's Peak in the middle of the Darklights. Inside of a cave called Zacyn's Cavern, it is sealed within the mountain's tip, the doorway having been obliterated long ago. Location: The dead wastes north of Icemark. Surrounded by dead brambles and thick branches; a blizzard rages around it non-stop. Location: Jungles of Nimravus. Grown into a large tree, and located at the trunk's heart. Only the face of it may be seen; quite possibly covered in moss. Felnova Constellations click on the link above to learn about this Realm's constellations! A Realm that many scholars claim arrogantly to be the most ‘normal’, Felnova’s Realm stars are most often a bluish white and are in comparable numbers to most other Realms. The god of the cosmos, Lyfe, sometimes plays with the stars to confuse his scholars, but for the most part the stars - and constellations - do not move often. Felnova’s sun and moon are, very simply, called the Sun and Moon. Neither change and both can be very easily charted, making it supremely easy for scholars who wish to study the cosmos to watch and record. The moon's surface is completely smooth, like polished marble, unlike the moons of other Realms. Solar dragons have been known in the past to take energy from Felnova’s sun the easiest of the Realms with a single sun, and it’s been theorized that the celestial energies of the sun, moon, and stars are amplified by Lyfe’s presence alone. The space that surrounds Felnova within the Sphere is both filled with stars and highly nebulous; the energy that drifts inside the Veil is colorful, though borders more on blues and purples than anything. 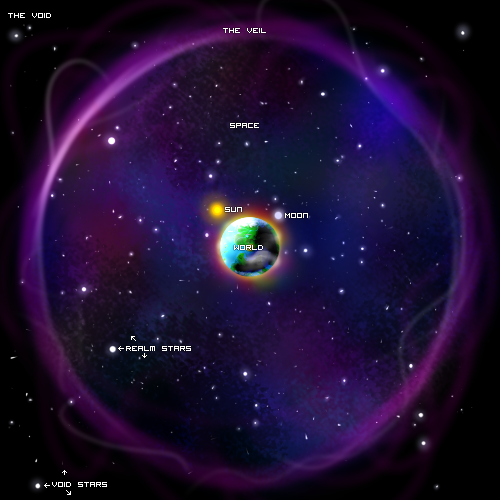 Felnova’s planet is surrounded by a potent atmosphere that is quite strong magically, and is said to give the land the restorative properties that it has. Lush and beautiful, Felnova holds many of the plants that the denizens of Earthrealm would be familiar with. commonly found;; Oaks, their relatives and various deciduous trees are very common in the eastern regions of Song Forest, as well as in the foothills of the mountains and the forests near Everdawn. Pines and various conifers grow nearer the Exodus and southern regions of Song, thick in the Ramalokes and somewhat in Icemark and the northern regions. Alubria holds mostly coniferous trees - dominated primarily by spruce trees, though pines and junipers may also be found. Stroen'na is much like Vystriana, mentioned above, though much grassier and more overgrown, and prone to moss, lichens, and mold. Khankirae is mostly grassland, and Nimravus filled with tropical vegitation not limited to palm trees, balsa, and ferns. rarely found;; Sparse palm trees and oceanic treelife grow near Covahold and along the coast, though near the cliffs they are much rarer. Coniferous trees are difficult to find in Nimravus, where oak trees and other deciduous plants are unable to be found in the northernmost portions of Alubria. doesn't exist;; Currently all trees exist in Felnova. 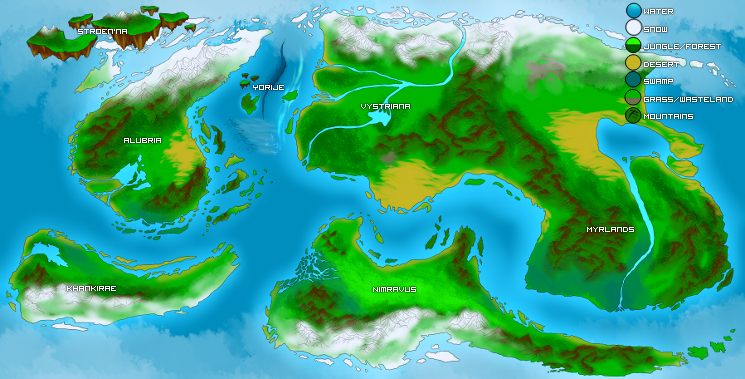 By and large, Felnova lacks any trade goods unique to the realm, instead focusing on goods produced by its people. However, cosmopolitan as it is, Vystriana has long been a trade hub for merchants bringing in goods from across the Realms. While foreign merchants pay dues for the right to trade, these dues are carefully balanced to provide the crown with revenue while not being prohibitively expensive. Felnova is taken by their solid belief in the Felnovian Five. As the gods have often shown themselves to those mortals below, most - if not all - believe wholeheartedly that such gods are real, and many worship them steadfastly. The dragons are most adamant in their faith, and though their worship doesn't usually attain fanatical heights, they speak of the gods with a reverence rarely heard. Of these gods, Time is their leader - but the drow hold Scylla over all, where dwarves worship Balion, and those of Yorije find Lyfe to be the leader of their religion. Humans, elves and other humanoid races may disagree - claiming that the Five are only dragons, who hope to keep the weaker races under their claws. This has resulted in the founding of the Faction of Hope, who propose a true One God that will oust the others and bring truth and freedom to those oppressed by dragon rule. Aside from the Five, lesser deities are also worshipped - the wolves of the Myrlands look to Cirrus, the wolven god of light and spirits, for guidance, while the lions of Vystriana and Khankirae bow to their own leonine deity, Nebrielas. The gryphons of Alubria devote themselves to the gods Rahirra and Zakrii, an entity who changes identity every time they are reborn. The avians of Stroen'na worship Linath, goddess of the Soulplane, over all - they believe that their race holds closest to her, and many images in her likeness may be found in avian shops, made by skilled craftsmen and women in all objects one can think of. On the other side of the spectrum, those of darker hearts may worship the members of the Dark Five over any others, succumbing to the promise of the powers that shadows may grant. Of these, many become slaves to that power - as these gods give nothing for free. The Realm of Beauty is split into six distinct countries. First and foremost is Vystriana, ruled over by Lady Verridith Skystriker, who looks after the management of the cities listed here. Beneath the Queen (and her King, should she choose one) is the Council, a circle of trusted leaders and advisers who help run the country and keep things flowing smoothly. Alubria lacks any firm central government. Instead, various flights of gryphons, roc'a, and avians govern their respective territories as they see fit. Meetings of various flight leaders has occasionally take place, with representatives from many species present on Alubria attending, but these meetings are rare, and historically managed to accomplish very little of note. Stroen'na is jointly ruled by two royal families who hold absolute power over their kingdom. Representatives from various noble families of avians, as well as delegates from some of the more prestigious flights of Stroen'na's other native species, form the Grand Assembly, responsible for bringing various issues to the attention of the ruling monarchs. However, the Assembly cannot overrule any royal decisions. Nimravus is home to many deathcats, and traditionally ruled by them. Aggressively isolationist, they have largely been left alone by other races. 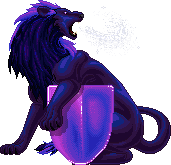 With the recent death of the ruler of the reigning Eofelis Pride, Nimravus has been thrown into disarray, with each pride left to rule over its own territory without oversight, making the country even more dangerous than before. The Myrlands are ruled by the Myr Pack, the foremost wolf pack in the land. The Myr leader's word is considered to be law, but many of the packs are largely left to their own devices so long as they don't blatantly defy the Myrs. On rare occasions, primarily when the entire Myrlands face disaster, wolf pack alphas can be called to gather for a meeting. Khankirae is a unique land, home to many refugees from distant lands who seek sanctuary within its borders. The closest thing to a real monarch Khankirae has is the Veldryn's White One, who rules over the capitol city of Hamon. However, the White One has traditionally had little to do with the running of the country, only occasionally attending meetings between the other city rulers and prominent leaders in the land to discuss events that impact the entire country. Yorije, home of the elusive Yorijian Dragons, is ruled by the Queen, who always takes on the name Calypso when she ascends to the throne, leaving her old name and Family behind. She presides over the Yorijian Court, which is made up of the Patriarchs of the Five Families (although the Firewaters have long been exiled) and the leader of the Black Guard, who oversee the safety of the queen and the kingdom. The Court is a hotbed of political intrigue and wondrous rituals. The Vystrian Knighthood is divided into a series of Orders based on skill, ranked appropriately underneath both the Council and their Order Leaders. Each knight is sorted into these Orders after passing both the Test and being knighted, from the Sword on. The Vystrian hierarchy is structured around a singular royal house; that of Kazule's descendants, currently led by Queen Verridith. Her knightly Orders are rumored to be some of the best in all of Felnova, and are held to an incredible standard. An oath is said by all who are sworn into duty, called the Code of the Ten, and is the chivalric code that all the various Orders abide by. It is taught, word for word, to all of their members from page up til knight, and is often remembered long after one has left an Order, due to its constant use. "Beneath the eyes of the Five, before whom I kneel, I swear to ever be faithful and true to the Code of the Ten. In reciting this code, I will take upon myself the honor and integrity of the Realm; I will protect the weak, stand to the strong, help the helpless, fight with the valiant. "I will not bring harm to my King and Queen, for they are the pillar upon which my strength is built; I will not befoul the safety of which I am vowed to protect; I will not destroy the trust of the people in which I serve; and I will not break the loyalty of which I pledge. "Under pain of death, beneath the eyes of the Great Gods, I pledge myself to the honor and protection of Vystriana and all of her people, beneath the Lady Verridith. Ayddn'yen'n 'a fae'niel. Anein." 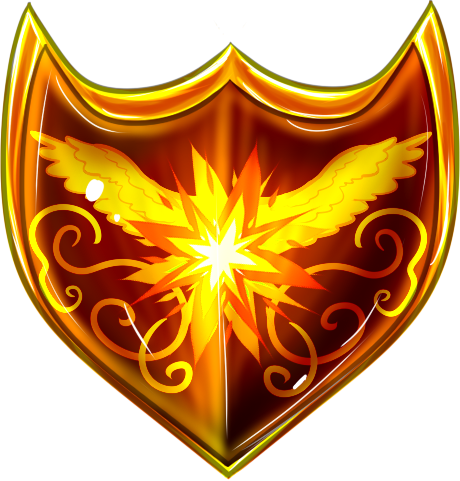 * Champion, General's assistant, the titles will vary; chosen by the Queen or the General, acts as a pseudo-adviser along with the Wild Dragon, but on internal affairs. King and Queen: Leaders of Vystriana. The monarchy makes all important decisions, with the aide of their Council. Both are equal in power. At this time, there is no King. - Grand General: Leading General over lesser generals. Head knight, always of the Talon. - Archmage: Head of the Order of mages, sometimes a Knight of the Beryl. Usually trains those of the mage or sorcerer class in magical ability, and makes key decisions when dealing with something of a dangerously magical nature. - Wild Dragon: Also known as the Wanderer or the Vagabond, this dragon conducts patrols and operations on its own, reporting back to Verridith as a trusted adviser. Usually finds things the other Council members do not discover, and is a most valued spy. Specializes in outside affairs. - Champion: A high-ranking knight of any Order, usually chosen by the General. Acts as a sort of General's assistant, specialized on internal affairs. - Treasurer: Keeps track of Vystriana's jaden, especially that of the Queen and her Council. Tracks financial progress, usually works from the shadows. Is (obviously) good with numbers. Page: Usually a child; runs errands, learns discipline, is taught manners and the code of the Orders. Squire: Begins true training; attends to the knight they are assigned, and is taught all that they do. Junior Knight: Has passed the Test, and begins learning how to operate as a knight in true colors. Usually stays with their assigned knight for one to four months. Stays in the Order of the Sword until then. Knight: A true knight; ascends from the Order of the Sword to a different Order, one that they fit most. 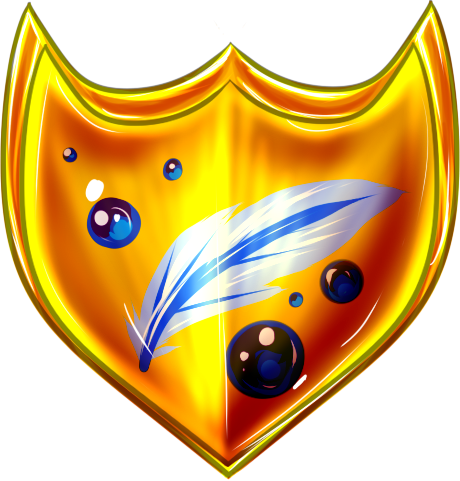 The Order of the Talon, often considered the elite of Vystriana's forces, hold the advanced ranks of the various Knighthoods, promoted after long service or incredible feats of skill. 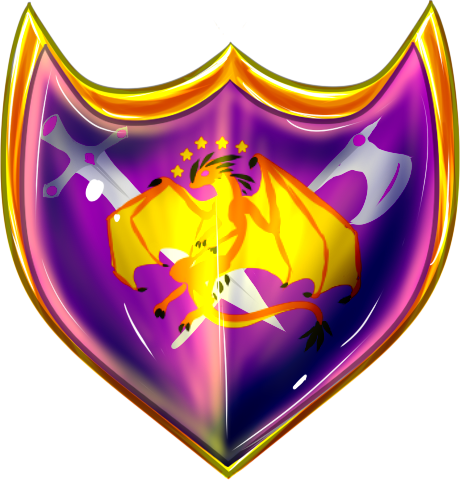 Knights in this Order are held to the highest standard, and are Queen Verridith's first offense and last defense, controlling most of her Wings and headlining many of her companies. Talon knights are usually independent, strong soldiers capable both of working alone or in groups - they are very good leaders and often are skilled in the art of planning and strategy. They are loyal, protective, and held in the highest honor. Knights of the Talon are separated by the following divisions when in a group. These do not, however, include flying ranks; they are covered further on. Leader: Head of the Order. Oversees the central workings of the Order. General: Leader's Second; commands lieutenants, organizes companies, platoons and battalions. Lieutenants: Fall under the command of the Order General. Commands companies, platoons and battalions. Organizes squads. Leaders: Separated by what they lead. Captain: Company leader. Leads a company of knights; made up of six platoons. Sergeant: Platoon Leader. Leads a platoon of knights; made up of three squads. Squad Leader: Leads a squad of knights; made up of two to ten individuals. 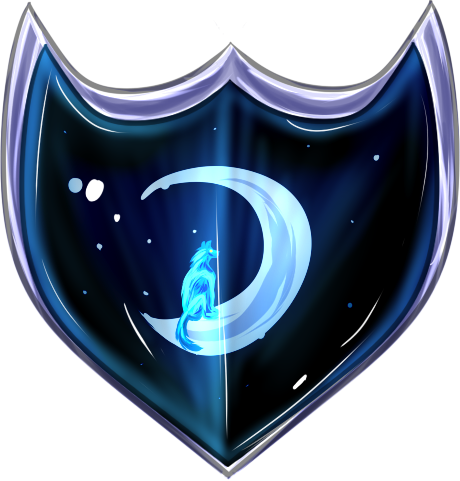 The Order of the Raven is a specialized group of knights that are considered Vystriana's most versatile asset. Composed of mostly small squads, or pairs of individual knights, the Ravens are often kept out of large-scale patrols and battles, unless the needs of the Order deem it so. Unlike the other Orders, the Ravens are a direct service to the noble folk of Vystriana, and are lent out as mercenaries to do tasks for those of lesser royal blood, under direction of the queen. The skills of the Raven are also used in stealth, reconnaissance and various undercover missions; one is often assigned to a small scouting patrol, or sent as a spy. Raven knights are strong-willed and are able, like Talons, to operate both alone and in groups. They make strong leaders and exceptional strategists, and are quite capable of difficult tasks or seemingly-impossible missions. Many are very decent trackers, hunters, and marksmen. Knights of the Raven are separated by the following divisions when in a large group. These do not, however, include flying ranks; they are covered further on. Lieutenants: Fall under the command of the Order General. Commands companies and platoons. Organizes squads. Battalion leadership is left strictly to the Knights of the Talon. 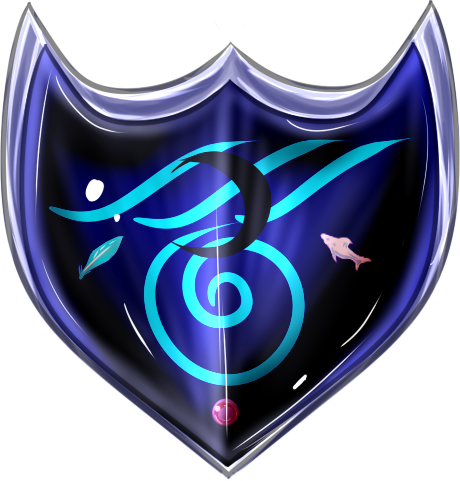 The Order of the Beryl are one of the Knighthood's strongest Orders, and valued above all for their skill in magic and magecraft. Trained jointly by both the Order of the Sword and the Order of Mages, Beryl prospects are few and far between, as they must possess the intricate mind of a mage, while having the strength and skill of a warrior. Beryl knights are usually not as physically strong as the other Orders, but their magic makes up for it ten- and twenty-fold. Most are trained in the art of healing and light magic, while others go on to master one or more elements. 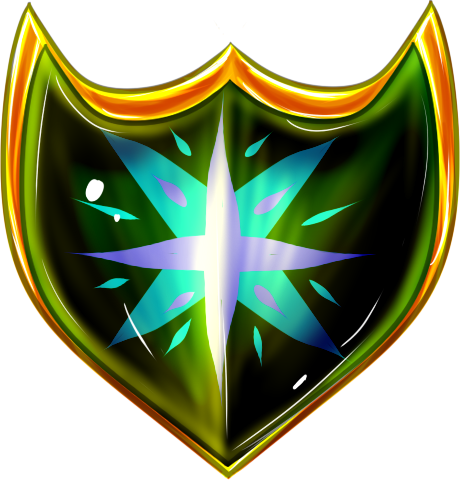 Still others can learn enchantments and curses, where more focus on defensive shield spells and solidifying the use of arcane energy. A select few are trained as summoners, and can be the most powerful soldiers on a battlefield. Due to their nature, Beryl knights receive more training than any Order, and are usually enveloped in a state of constant study. They are kept under tight watch, and are never sent as far as a Raven or a Talon; their value is too high, and their kind too rare, to risk sending far abroad. Knights of the Beryl are separated by the following divisions when in a large group. These do not, however, include flying ranks; they are covered further on. 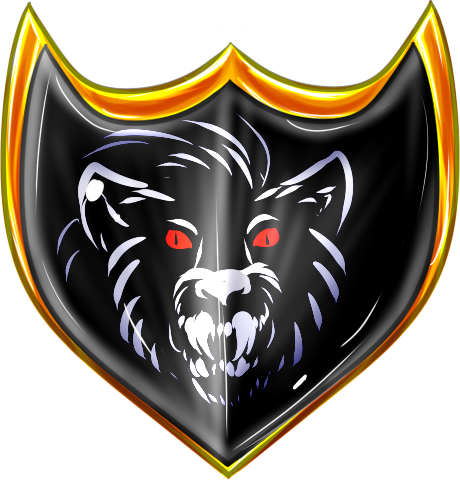 The Order of the Lion is one known and honored for its worth as protectors, warriors and estimable paladins. They are the elite guards of Vystriana's biggest cities, and can be found in nearly every one of the queen's armies. They are the backbone of the Knighthood, and the largest Order. Knights of the Lion work best in groups, and are skilled in melee combat, usually trained with the sword, spear and bow. They are efficient workers and dedicated soldiers, loyal to a fault, and unfaltering in the face of the enemy. Generally, members of the Lion are credited with being fierce and steadfast companions, fearless and noble in battle, with a strong sense of justice and mercy. They are negotiators, and will find solutions to problems other Orders have trouble with. Very versatile, and dependable in any situation. Knights of the Lion are separated by the following divisions when in a large group. These do not, however, include flying ranks. The Order of the Sword is often considered the training Order; comprised of both veteran knights and those newly Tested, the stepping stone from squirehood into one of the other Orders. The Sword is known for its optimistic fire, and new ideas and new blood. Often considered one of the most versatile Orders due to holding the roots to the others. Knights of the Sword are trained in the ways of the other Orders, and learn how to operate on their own. They are usually accompanied by a veteran of the Sword, or the knight they had been assigned to as a squire, anywhere from one to four months. From this point, they are evaluated to decide what Order they would most fit in; most enter the Lion or the Raven, as there are very few that reach the potential of the Beryl. Talons are chosen from veteran ranks out of all three Orders. Knights of the Sword are separated by the following divisions when in a large group. These do not, however, include flying ranks; they are covered further on. There are five active generals at all times, with five assigned units/wings that they preside over. These generals may accompany these on patrols. All answer to the leading General, and above them, Verridith. Five-hundred troops lay in reserve. A wing consists of six dragons or other creatures; one wingleader, a wingsecond, two flankriders and two outriders. Wingleader- in charge of all operations underneath their general, leader (sometimes called 'captain') of a group. Wingsecond- one who flies behind the wingleader in formation, protecting the leader in battle; second in command. Flankriders- two that fly behind the wingleader and to either side of the wingsecond, acts as support. Outriders- the two flyers on the rear-edge of the formation, on the corners of the triangle; keep watch behind and cover the others. One magic user is assigned to each patrol that goes farther than Hidden Lake, on horseback or dragonback. Usually a Knight of the Beryl, or one of the mage-class. One wing or unit (group of six ground troops or cavalry, most often includes at least one knight) to each patrol, five patrols a day spread across Vystriana. Many knights of the Order of the Lion are directly involved with the military, and few venture outside of its armies. However, those of the Raven freely roam, and those of the Beryl often make small quests to further gain more knowledge of their magical abilities. Some will travel to one of the mage Towers, and learn directly from the mages themselves. Those of the Sword do not leave Albronel often, and only leave in accompaniment with one of the Lion or a higher class. Talons are free to do as they please.